Fennel (Foeniculum vulgare), also known as F. officinale, is actually a member of the Umbelliferae (Apiaceae) or carrot family, along with dill (Anethum graveolens), caraway (Carum carvi ), and anise (Pimpinella anisum ). Native to the Mediterranean region, Fennel is a versatile vegetable that plays an important role in the food culture of many European nations, particularly in France and Italy. In some parts of the world, fennel is ordered as invasive species because it spreads quickly and eliminates native plants. Fennel is a multipurpose plant. Ancient Romans used it to prevent obesity. Ancient Greeks used it as a remedy. Europeans used it to manufacture drink called “sack”, that was popular during the Shakespearean time. Fennel still has numerous applications, but it is mostly cultivated as a source of food. Fennel is an erect, aromatic, glabrous, much-branched, biennial herb growing up to 2 m tall. 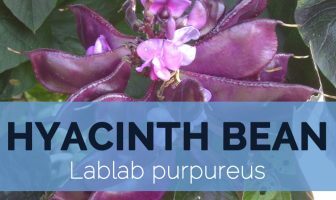 It is normally found growing in well-drained, light, moderately fertile soils, particularly in sandy loams but needs supplemental watering during the dry seasons that provide enough sun. It has a thick, spindle-shaped taproot that produces a pithy, smooth or erect, robust, glabrous stem filled with white spongy pith and is bluish-grey colored. Basal and cauline leaves are up to 15 cm, broadly triangular-ovate in outline; ultimate segments 5–40 × 0.5 mm; petiole 7–14 cm whereas upper leaves are alternate, 2–4 × pinnately divided ultimate segments filiform, 1–6 × 0. 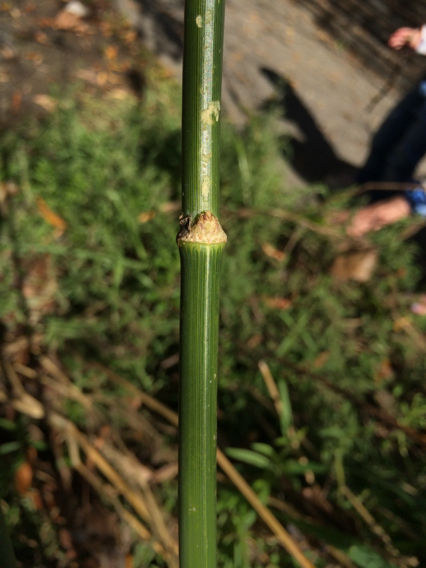 6 mm, petiole broadly sheathing at base. 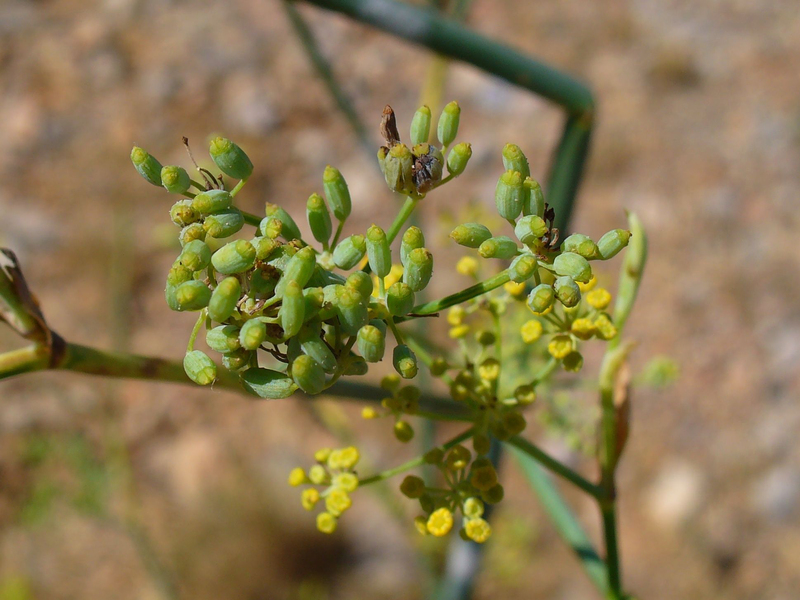 Flowers are pale yellow, tiny, 2 mm across, in compound umbels, 4–10 cm across; bracts and bracteoles are absent. Leaves, bulb and seed are edible part of fennel. Leaves and seed are consumed as seasoning. Bulb is used as vegetable. Fennel plant has swollen, bulb-like structure, measures about 3-5 inches in width and about 3 inches in length and is white or pale green colored. Fennel is highly prized for its licorice-like flavor and the countless of health benefits it provides, and has been used in natural remedies since ancient times. Click here for nutritional value and health benefits of Bulb. 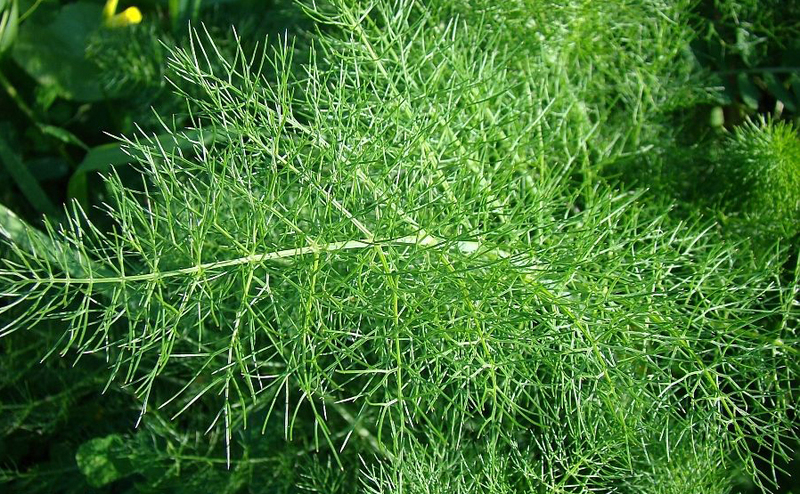 As mentioned previously, almost all parts of the fennel plant can be consumed in different ways. Seeds and leaves are consumed as seasoning and bulb as vegetable. Seeds are ovoid-oblong to oblong or curved (comma) shape schizocarpic, of mericarps ,non- fleshy, 4–10 mm long by 1.5–2 mm wide and are light-brown colored. Seeds have pleasant sweet anise or licorice flavor and delightful taste. Fennel still has numerous applications, but it is commonly cultivated as a source of food. It is a versatile vegetable that plays an important role in the food culture of many European nations, especially in France and Italy. Click here for nutritional value and health benefits of fennel seeds. Fennel is considered to have originated from Mediterranean region and has extensively naturalized and escaped from cultivation worldwide. It is broadly grown for its fruits and leaves mainly in the Mediterranean area, Western and Central Europe, southern and eastern Asia, New Zealand, Ethiopia, South Africa and the Americas. Due to its licorice-like flavor and the myriad of health benefits it provides, it is grown throughout the world. Fruits, seeds, flowers, leaves, shoots, stems, sprouted seedlings, essential oil together with the swollen petiole bases and swollen roots are all edible. Tender shoots, leaves and stems are used in snacks, salads, soups, stews, or as spices. Tender shoots, leaves and stems are usually used in egg recipes, omelet, with grilled fish and cooked on fish dishes and bouillons, stewed with different kinds of beans and chickpeas and in various soups and sauces. They are used fresh or dried in brochettes and herbal teas. These plant parts are also used to aromatize olive brines, fig preserves and brandy. Young leaves serve as flavoring or as a garnish on raw or cooked dishes and make a very pleasant addition to salad. Inflorescences and flowers are used to flavor beverages and spirits and also used as a spice. Yellow flowers are used with desserts or cold soups, or as a garnish with entrees or in fennel and watercress soup. Fruit of sweet fennel are used for flavoring fish and other sea food dishes and can be used to make a pleasant-tasting herbal tea. Fruits and seeds are used for flavoring bread, sweets, cakes, stuffing ordinary dishes, biscuits, stews and dainties. Fruit mericarp is a common spice used in Malaysian cuisine such as dried grounded prawn curry powder, satay peanut sauce, and in chicken curries. Fennel seed is a common ingredient in Italian sausages, meatballs and northern European rye bread. Sprouted seeds are added to salads. An essential oil from the fully ripened and dried seed is used as a food flavoring in similar ways to the whole seed. 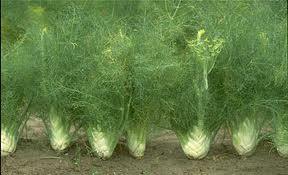 Swollen, fleshy petiole bases of Florentine fennel are eaten cooked or raw as an accompaniment to cheese in England. It forms a key ingredient in several Italian and German salads, often mixed with avocado and chicory. It can also be braise, or blanched or marinated and cooked in risotto. Sliced fennel with avocados and oranges make for a delightful salad. Sliced fennel is often added to the traditional toppings of lettuce and tomato in sandwiches. Finely sliced fennel slices are eaten with plain yogurt and mint leaves. Fennel combines well with salmon and braised fennel is a wonderful complement to scallops. Thick roots are cooked and eaten. 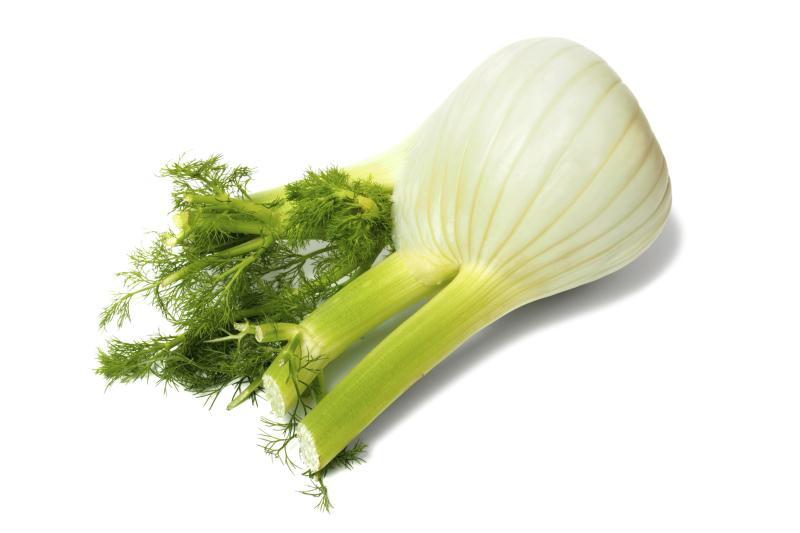 Florence fennel is one of three ingredients used in the preparation of absinthe, a popular alcoholic beverage in Europe especially in the nineteenth century. Seeds, leaves and roots are used medicinally, but the seeds are most active medicinally and are the part commonly used. Fennel is an excellent stomach and intestinal remedy which relieves flatulence and colic whilst also encouraging the digestion and appetite. Fennel water is given in colic and flatulence of children in India. Hot infusion of the fruit is beneficial in amenorrhoea and in cases where the lacteal secretion is suppressed. Oil is useful in flatulence. Juice of the fennel fruit has been used to increase the eye-sight and a paste of the seeds is used in a cooling drink in fevers and in scalding urine. Extracts of fennel seed have been shown to have a probable use in the treatment of glaucoma. Fennel seed are use in venereal diseases in Madras. 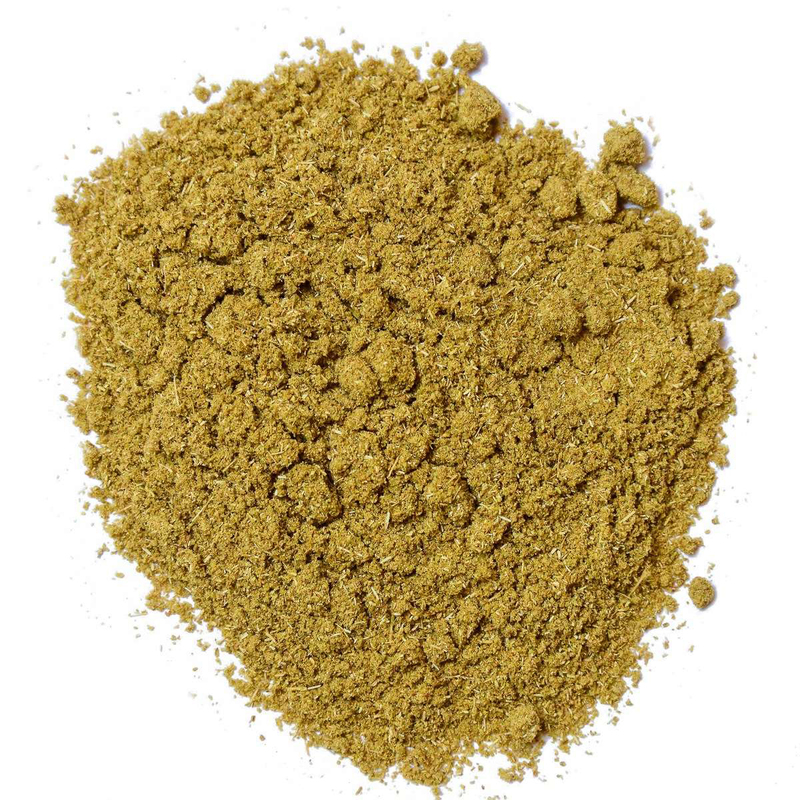 Decoction of fennel seeds is used as a galactagogue in Mexico are used as a stimulant in Antilles. It has calming effect on bronchitis and coughs. It is used to flavor cough remedies. It helps to increase the flow of milk in nursing mothers. Externally the oil comforts muscular and rheumatic pains. Infusion may be used as an eye wash or compress to treat conjunctivitis and inflammation of the eyelids. Crushed seeds are inhaled for fainting. Fennel is widely used in Egyptian traditional medicine for its estrogenic, lactagogue, diuretic, antioxidant, immune booster and its usefulness in dyspepsia. Fennel is used as a digestive stimulant in Lebanese traditional societies. It is an ancient common herb and spice known to the ancient Egyptians and Greeks, traditionally used as a carminative, a weak diuretic and lactation stimulant. Fennel and anise are used to increase milk secretion, encourage menstruation, facilitate birth, ease the symptoms of the male climacteric, and increase libido. The leaves are also reported to be diuretic, increasing the secretion of urine and perspiration and the shoots of the young plant as carminative and respiratory. Roots are used as an aperative and purgative and used to treat urinary disorders. An infusion of the roots is given for toothache and to relieve pains following childbirth in India. An essential oil obtained from the seed is used in aromatherapy. Essential oil is bactericidal, carminative and stimulant but should not be administered to pregnant women. An infusion is used in the treatment of indigestion, colic, abdominal distension, stomach cramps. Infusion is used in the treatment of kidney stones and, when combined with other urinary disinfectant makes an effective treatment for cystitis. It can be used as a gargle for sore throats and as eyewash for sore eyes and conjunctivitis. Fennel is used in home beauty cosmetics often with buttermilk and honey, as a cleansing lotion and skin freshener and in toothpaste. An infusion of the ground seeds is used as a facial steam bath. Fennel along with other ingredients is used as anticellulite massage oil. Fennel is basis of weight loss recipes. 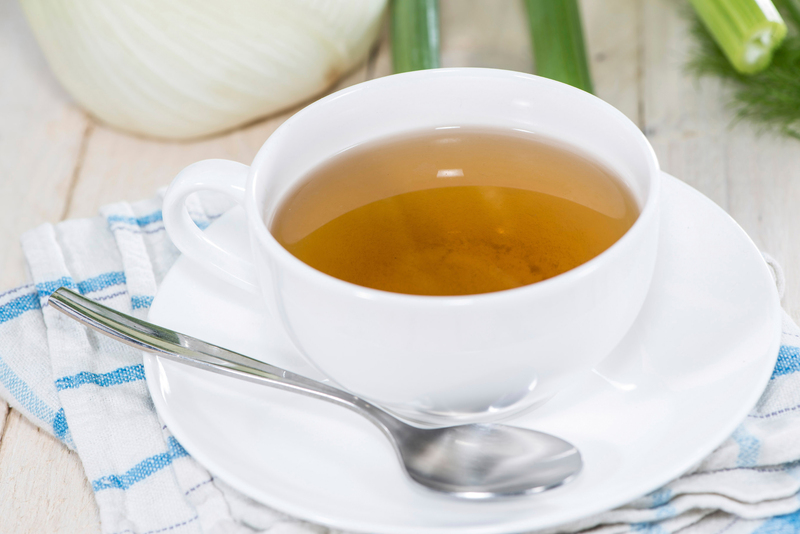 Tea made from ground fennel seeds is supposed to be good for snake bites, insect bites, food poisoning, and soothing a sore throat. People in India and Pakistan chew sugar-coated seed of fennel after meal to ease digestion and eliminate bad breath. 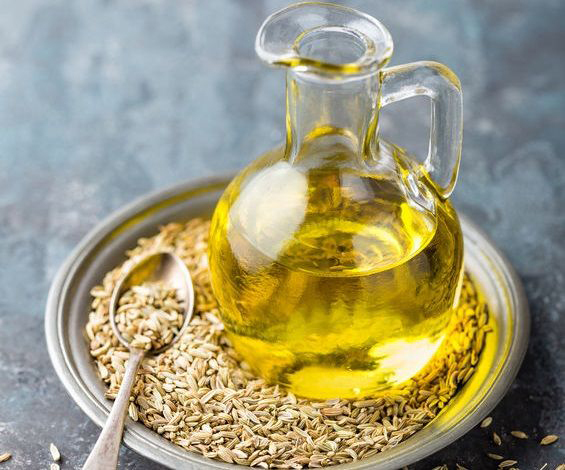 Essential oil extracted from fennel seeds is used in toothpastes, soaps, perfumery, air fresheners etc. Dried plant is an insect repellent while the crushed leaves are effective for keeping dogs free of fleas. 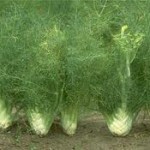 In case you are purchasing fennel in the supermarket, its likely Florence fennel. 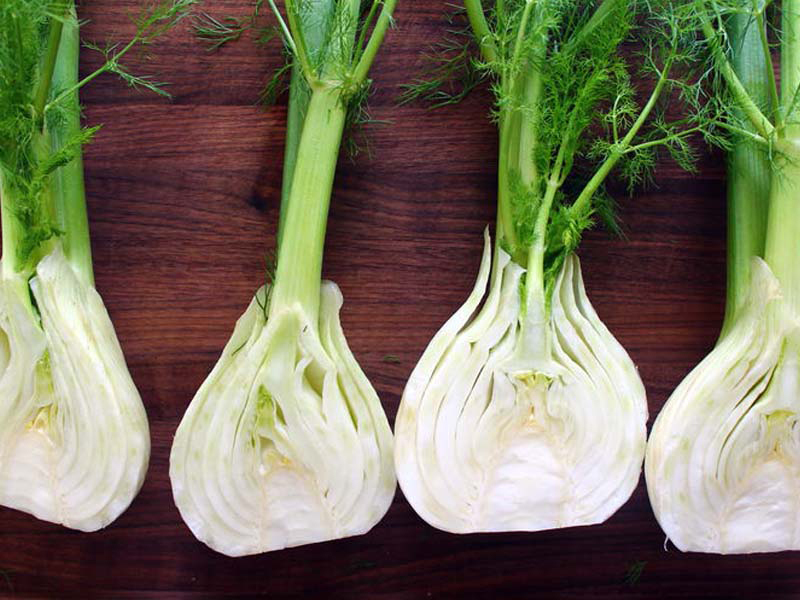 In case you are offered fennel in a Italian American home, it might be known as Fanuke, a reduced form of the vegetable’s Italian title: finocchio. Long utilized like a digestive aid, raw fennel stalks as well as bulbs are frequently offered after or before a sizable meal, also it might even be offered together with numerous sweets. Sliced up fennel stalks as well as bulbs work nicely in salads, however they may also be sautéed or even included with stir fry. 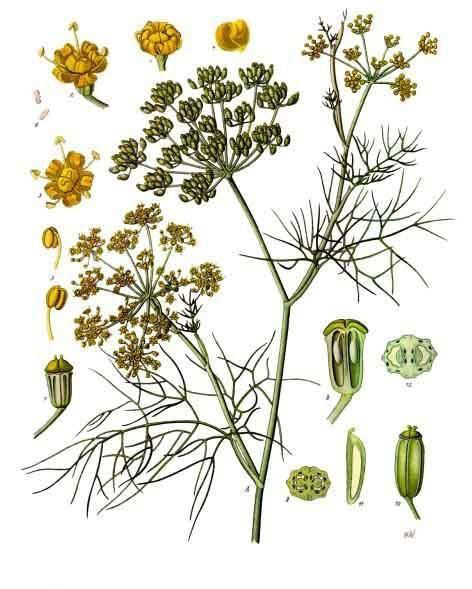 The anise-like tastes of the stalks as well as bulb are much more focused within the plant’s dill-like leaves that are utilized like a flavoring agent in several Mediterranean meals. They’re going especially effectively along with fish recipes. 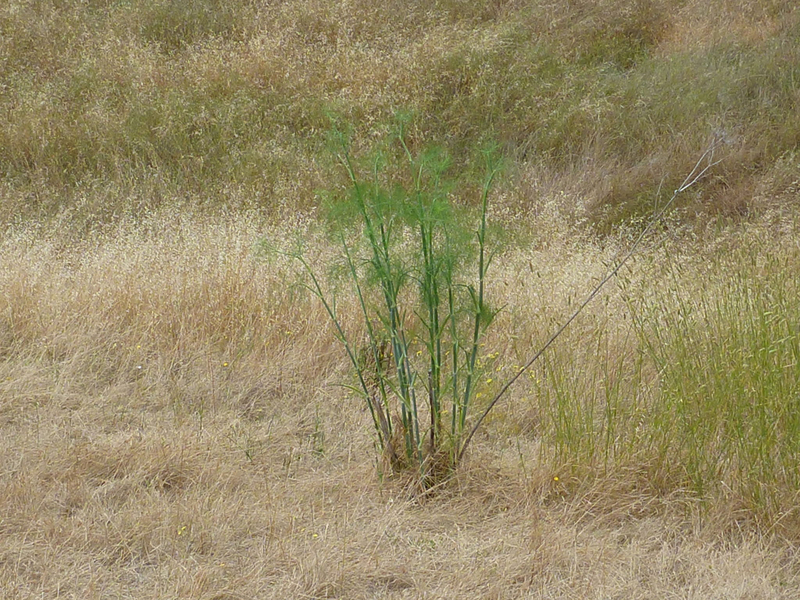 Common fennel is grown because of its seeds. 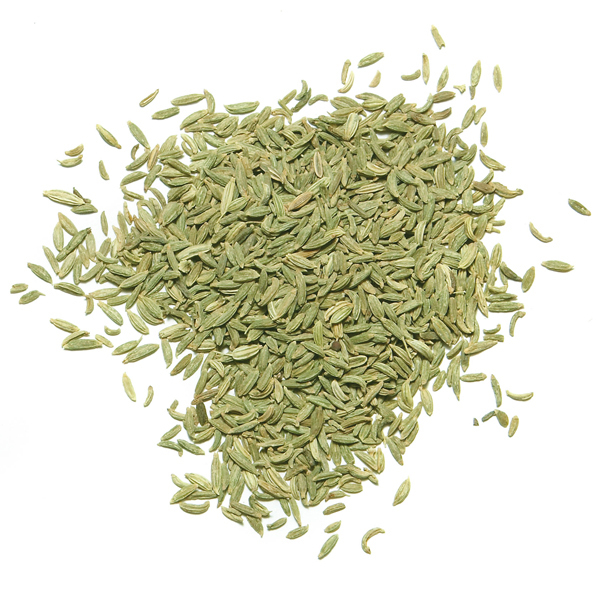 Fennel seeds are utilized to taste numerous Mediterranean, Indian as well as Southeast Asian foods. Search for its taste in Italian sausage, meatballs, cookies, Indian curries as well as Southeast Asian fish dishes. To test out this particular spicy-sweet flavor in your own home, utilize ground fennel seed like a spice rub for pork, poultry or fish. Ground fennel is widely accessible, yet you will get the very best taste in case you grind the seeds by yourself right before cooking food. Just like fennel stalks, fennel seeds are frequently served after the meal like a digestive aid as well as breathe freshener, particularly in India. Bronze fennel can be utilized much like Florence fennel, but they’re more prone to find it within your neighbor’s yard compared to the produce section. 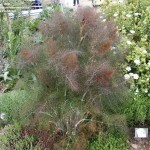 The leaves of the bronze fennel plant are usually copper-colored along with some purple combined. Simply because they can develop to around 6 ft . tall, they are usually employed as background border in landscaping. 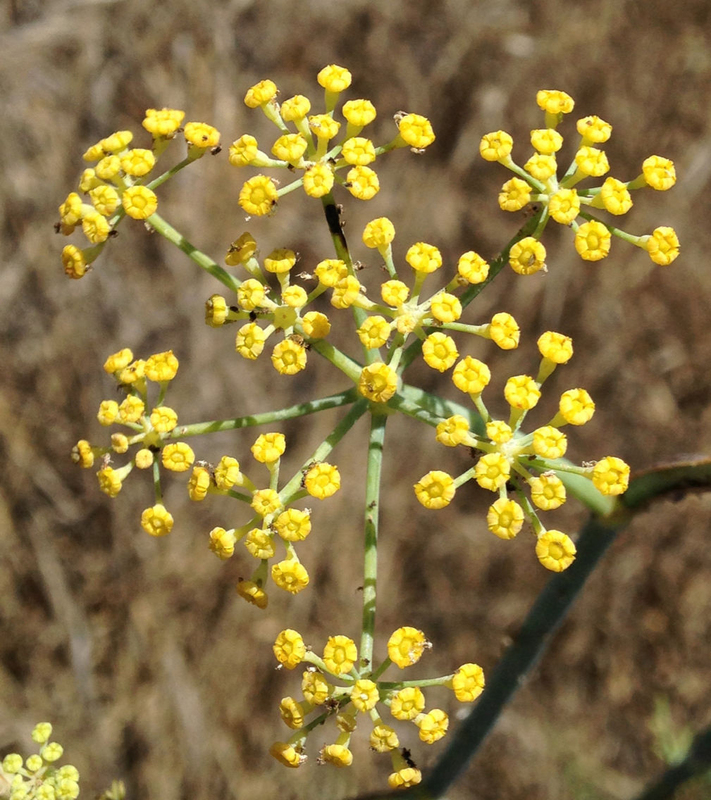 The yellow flowers of the fennel plant will even entice advantageous insects. 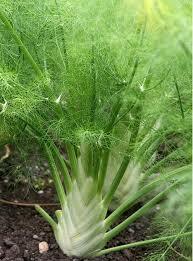 Note, however, that fennel stalks will end up more and more fibrous and hard since the plant grows taller. 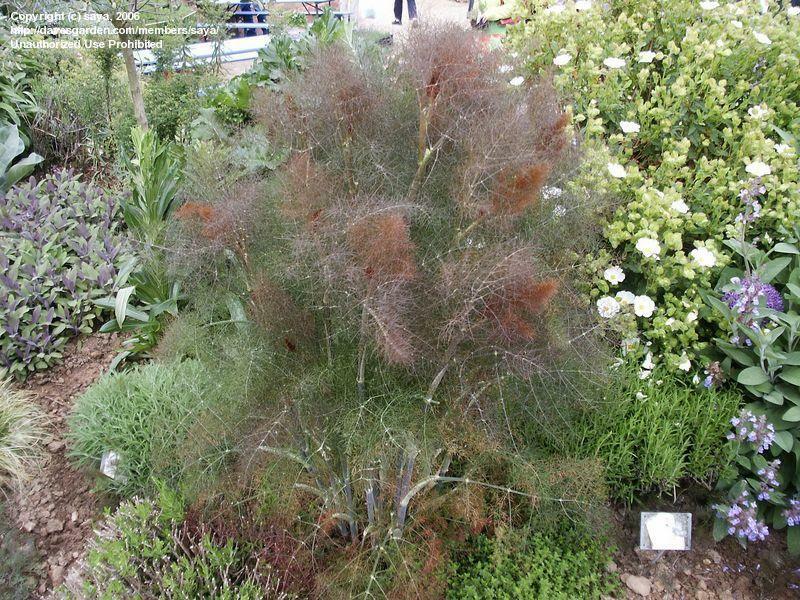 Some other titles for bronze fennel consist of copper fennel, sweet fennel and wild fennel. For fennels to be of excellent quality, it is best to look for any indications of bruising, spotting or perhaps splitting. They must be neat and firm and really should have white or even pale green color. The stalks and leaves must have a greenish color without any flowering buds. Existence of blooming buds is definitely an indicator which the veggie is way beyond maturation. Also, the stalks needs to be straight overlying the bulb and cannot splay an excessive amount within the sides. The best season for the farming of fennels is from earlier part of spring towards the autumn season. Fresh fennels faintly odor of licorice or even anise. It is usually preferable to eat the veggie as soon as possible since they have a tendency to age fast as well as lose their distinctive taste. However, if you wish to store them for a few days, you can keep them in the refrigerator where they will remain crisp and fresh for a few days. Dried fennel seeds could be kept for the total of Six months if they’re positioned in a cool and dry location within an air-tight container. Fennel seeds positioned in the fridge could be maintained for a longer period. Choose fennel which is clean white or even pale green bulbs, firm as well as solid and also without splits, bruises or even spots. Choose the ones that are flowerless and also have great smelling fragrance which has the aroma of licorice or even anise. Fennel is usually obtainable in the autumn as well as all through early spring. 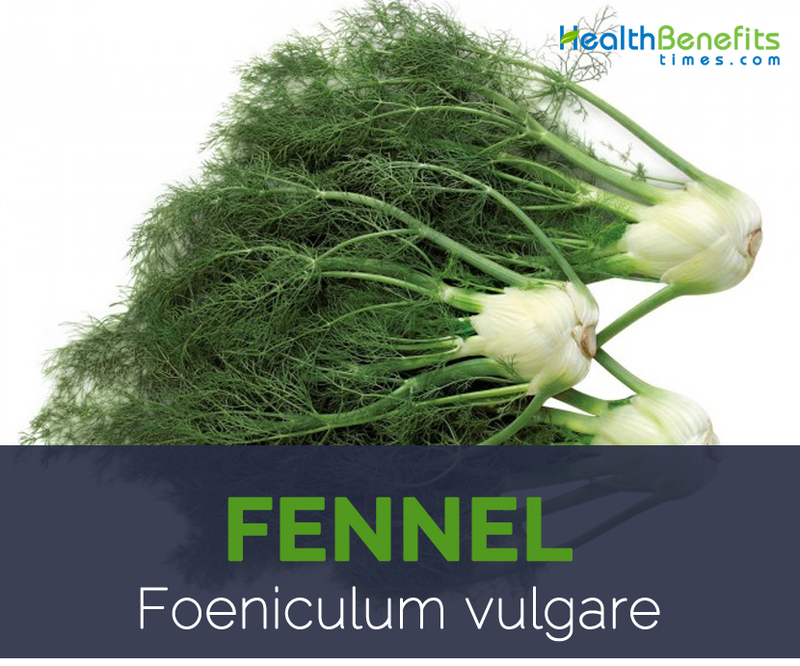 Take in fennel right after buying to obtain its highest taste as well as nutrition. To keep, wrap in the plastic bag, retain in refrigerator as well as consume within just four days. Fennel bulb, stalk and leaves are generally delicious. To juice, utilize about one-third or half a bulb, reduce sizes that may match your juicer chute. Mix together with your carrots, green apples, all of your preferred vegetable, along with a slice of lemon, for the great-tasting glass of juice. Fennels are cooked utilizing any of their three distinct servings namely, the leaves, stalk and also the base. Fennels could be cut in virtually any favored size and shape according to the recipe to be ready. However, the easiest method to slice it is by cutting it up and down from the bulb. The stalk portion of fennels can be used as brewing soups, stocks and stews whilst the leafy portions behave as herbal flavoring. In case, the bulb of the vegetable is not used for the recipe, then cut it first in two and take away the bottom. Once, this is accomplished, rinse it effectively along with water and after that reduce any kind of preferred form. You have to remember that every item has two factors and also overdoing things is damaging. 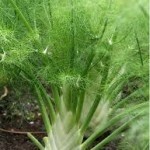 It is a fact for fennel as well. Particular aspects of essential oils just like Anethol, as well as few chemicals contained in fennel, apart from being advantageous, could be harmful if consumed in over-dose, since you must keep in mind that the substances which could destroy bacteria as well as microbes in lower doses could be unhealthy for you personally as well. It may stimulate trouble in inhaling and exhaling, improve heart palpitations and produce heart beats abnormal and in addition neurotic difficulties. Although fennel is perfect for ladies, expecting mothers are suggested to keep awayfrom blends that contains fennel since fennel is really a uterine catalyst. Extreme usage of fennel is not recommended as it might result in muscular convulsions. Usually it doesn’t result in any kind of side-effect if it is taken together with foods. Tenoria romana Schkuhr ex Schult. Foeniculum foeniculum (L.) H. Karst. Foeniculum panmorium (Roxb. ex Fleming) DC. Calories 27 Kcal. Calories from Fat 1.53 Kcal. Calories 345 Kcal. Calories from Fat 133.83 Kcal.